It’s time to register for summer camps! In this guide you will find camps for all ages – toddler through teen – and activities, including dance, gymnastics, STEAM, cooking, theater, soccer, volleyball, baking, cake decorating, engineering, science, nature, art, crafts, reading, voice, music, games, field trips, and outdoor adventures. 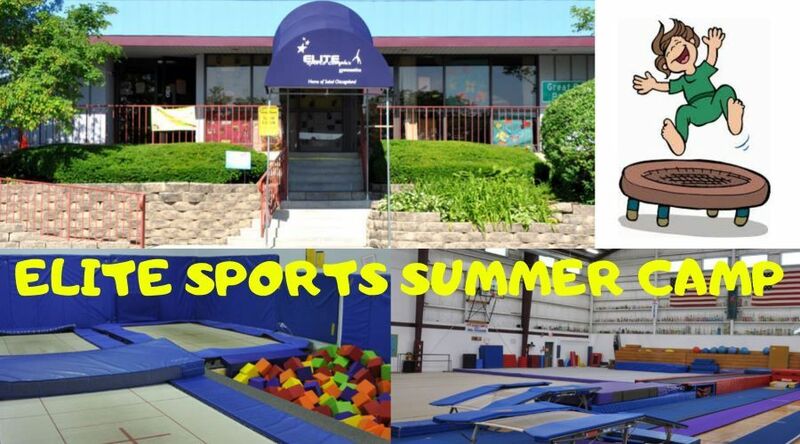 Choose from the best summer camps for kids in the western suburbs! There are even some discounts and early bird pricing included, so check them all out, daydream about the warmer weather ahead, and plan a fun summer! This guide is sponsored by the featured camps. We highly recommend scrolling through to see all of the fun options for the summer below or you can filter by camp focus by clicking on one of the topics below to be taken to that section. 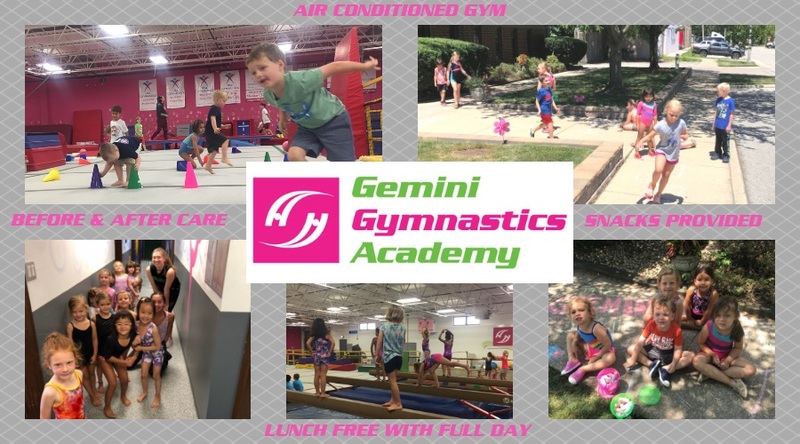 Gemini makes it so easy with flexible summer fun! Our action-packed Summer Camps are filled to the brim with awesome themes, gym time, games, crafts, STEAM projects, and much more! Full-day camps go until 3:30pm. We offer early drop-off and aftercare as well! Snacks are provided for everyone, and full-day campers get LUNCH FOR FREE! Visit our website or call us to learn more! 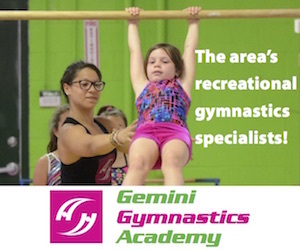 Skip the sunburn in our air conditioned gym and give your gymnast or ninja something they’ll flip for! When School’s Out, Camp is IN. 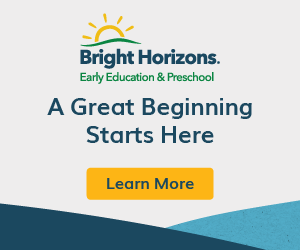 All summer long at Bright Horizons. Field trips, special guests, and events. Cool Themes like STEM, science, nature, ecology, art, cinematography, cooking, theater and more. Special spaces, sports, fitness and outdoor adventures. Our camp follows the local school calendar and runs throughout the entire summer vacation time period. No matter what your kids love to do, we have summer camps that are sure to keep them having fun! Choose from a wide variety of day camps in addition to many other themed camps covering sports, nature, culinary, science, fitness and wellness and more. Camps are offered for kids ages 3-17. Visit www.napervilleparks.org for details. 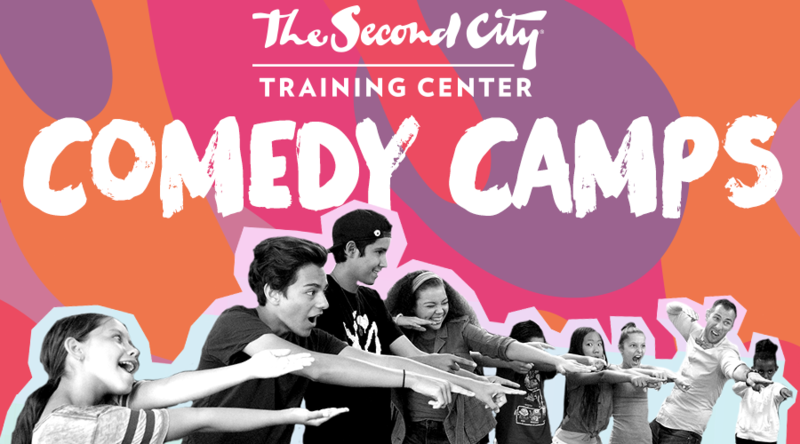 The Second City Training Center offers week-long comedy camps for kids & teens all summer long! Our training boosts creativity, social skills, critical thinking, & more. Children will dive into improv, acting, writing, stand-up, etc. In addition to camps, classes are available year round. Impact Dance Studio offers summer camps for girls and boys ages 2-8 beginning June 10 – August 2. All summer camps are a week-long and will be held at the LaGrange location. Camps include a wide variety of fun themes for kids where they will learn a dance combination to be performed at the end of the week. New themes for 2019 include: The Greatest Showman, Paw Patrol, Vamperina, and My Little Pony. All camps include activities, crafts, and snack time. Registration begins February 8 at impactdancestudio.com. Led by health and medical professionals, Body Trek is a popular one week journey of exploration for students entering grades 6-8. The camp includes real hands-on dissections, special guest visits, medical research and special excursions. This one-of-a-kind camp is perfect for the students interested in a career in the nursing, medical or science field. Space is limited! 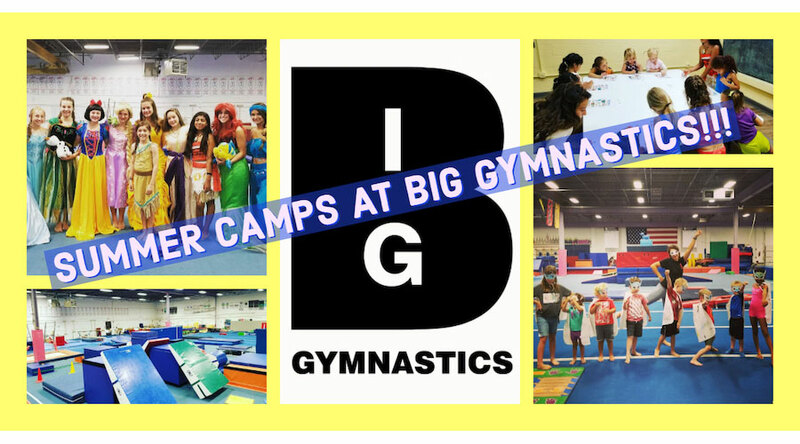 BIG Gymnastics offers a variety of fun-filled options for families when it comes to summer camps! With camp options for ages 2 and up, there is something for everyone! 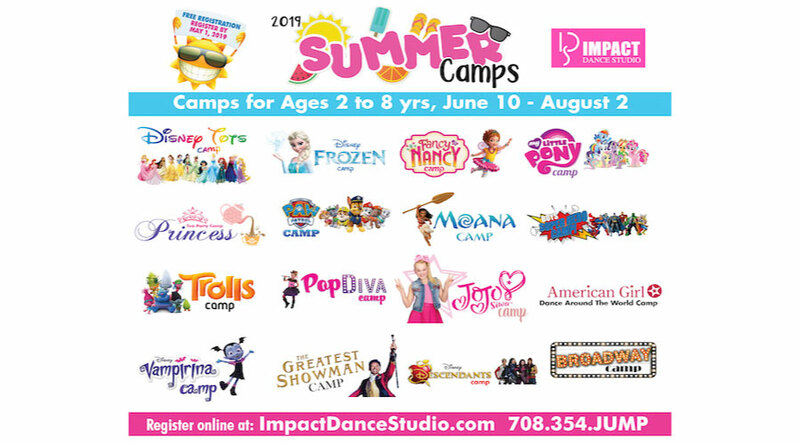 Different themed camps ALL summer long including: Peppa the Pig, Princess, Ninja, Lion King, Lego Movie, Superhero, Yoga, Survivor, Cheer, Flip-Flop & Frozen!!! Co-Ed Camps – for the ease of getting siblings in to camp together!!! 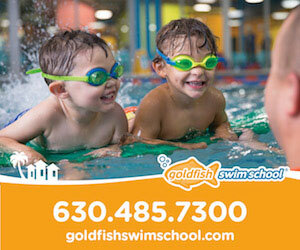 Age appropriate programs specific for each camp (parent-tot camps available)!!! Special gymnastics activities, games & crafts all themed around each camp!!! Snacks provided for each camper!!! Safe, air-conditioned gym with experienced staff!!! We focus on skill development and making each camper better while playing fun games to reinforce the skills learned! Beginners to the most advanced basketball players are welcome. Codinu summer camps are for ages 7-17 and start June 10, 2019. Camps run from 9:00 am to 3:00 pm with early drop off (7:30 am to 9:00 am) and late pickup (3:00 pm to 6:00 pm) available. Your kids will love these week-long, theme-based day camps for an amazingly fun and a unique coding experience! 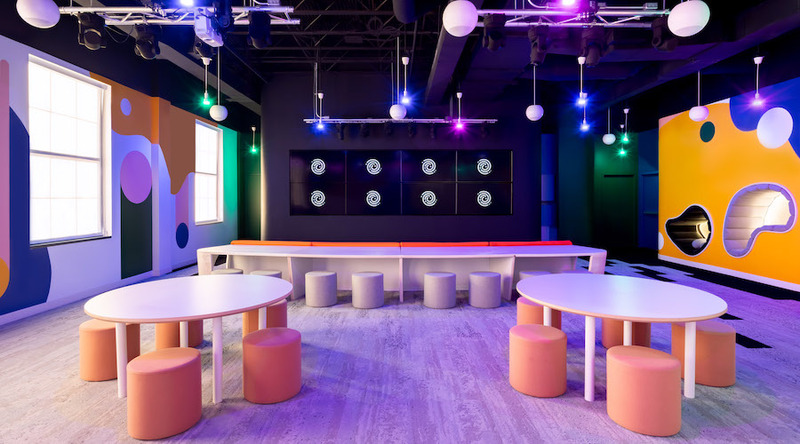 Codinu’s 4:1 student-teacher ratio, maximum class size of 12, highly qualified instructors, and flexible learning space creates a fun and collaborative environment. They mix an immersive approach to coding with outdoor and unplugged activities to provide a balanced day of camp. 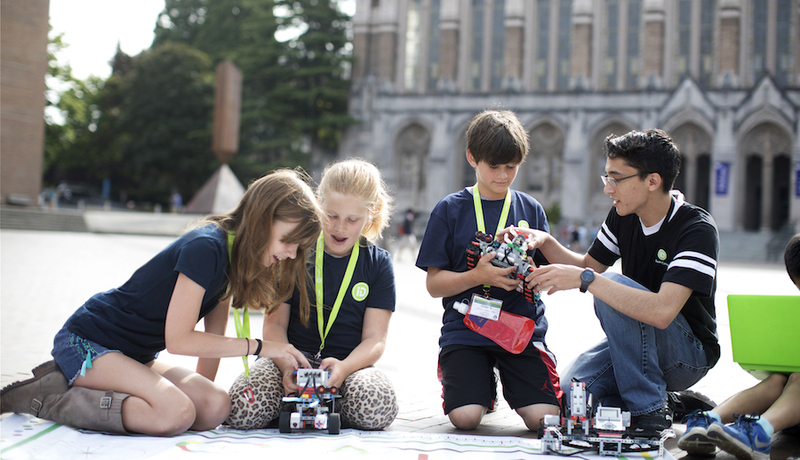 iD Tech is the world leader in summer STEM education, with 400,000 alumni since 1999, and 150 prestigious campus locations including Loyola University of Chicago, Northwestern, Lake Forest College, Stanford, and NYU. 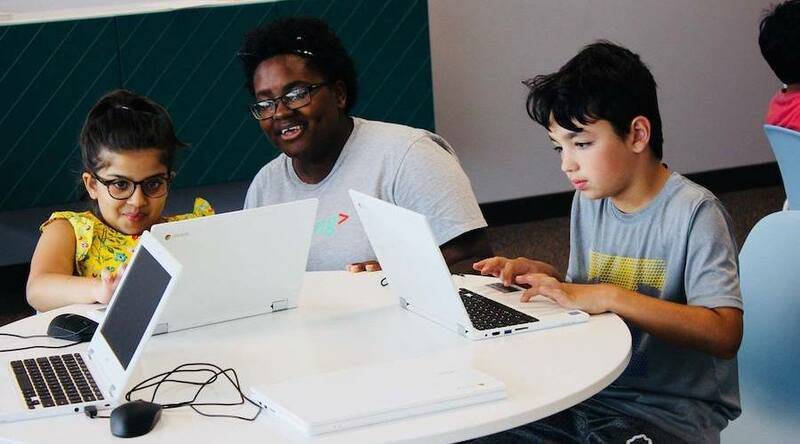 Students ages 7-19 learn to code, design video games and Fortnite-inspired levels, mod Minecraft, create with Roblox, engineer robots, model and print 3D characters, and more! Weeklong, day and overnight summer programs that instill in-demand skills and embolden students to shape the future. Just 5-10 students per instructor (maximum 10). 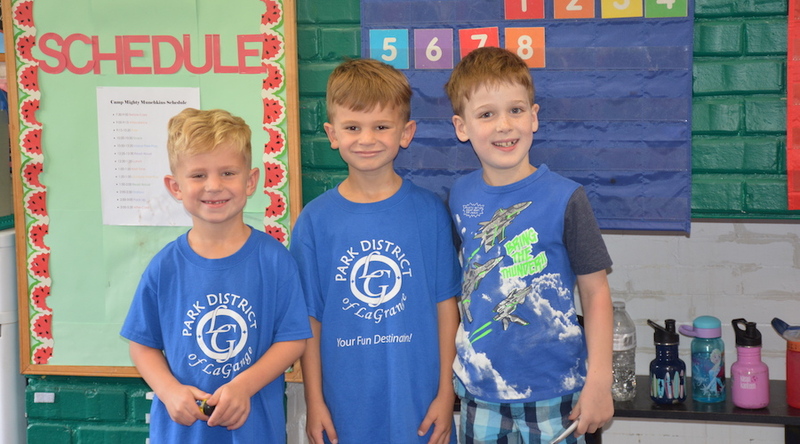 The Park District of La Grange offers full and half day camps. 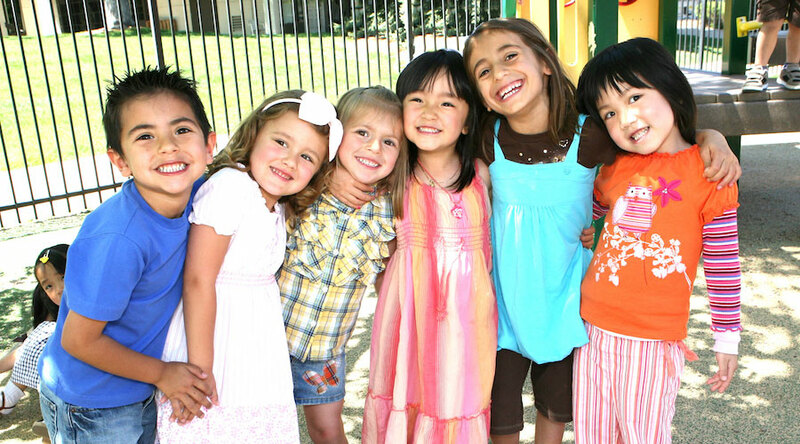 Camp Tiny Tots is a half-day camp for preschoolers, while Camp Mighty Munchkins is a full day camp for 4-6 year olds. Grade-school aged camps are – the half day, Camp-A-Palooza and the full day, Camp Quest Junior & Seniors. 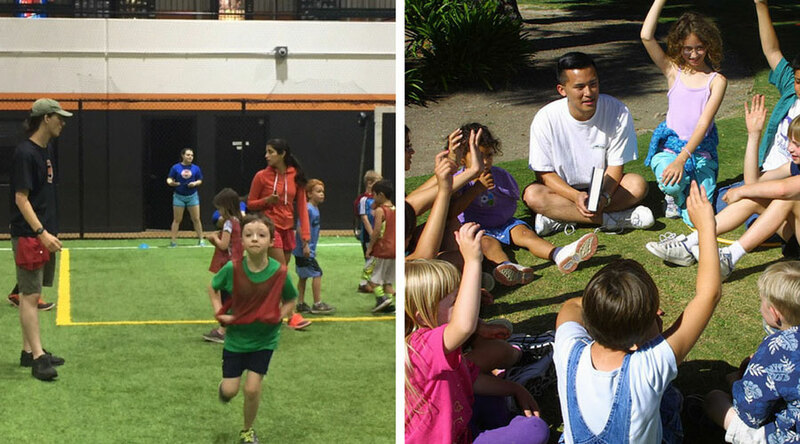 Before and after care is available for full day camps for an additional weekly fee. Receive 10% off if you register before March 31. For full day camps, a $25 deposit for each week of camp can be made to hold your spot in camp and receive the Early Bird Discount. Second child discount does not apply with the early bird discount. 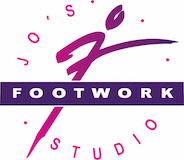 Jo’s has two camps this summer: Princess Dance Camp, designed for ages 4-9 and Tap Camp for ages 11+. One for ages 4 & 5 and one for ages 6 to 8 with Ms. Zoe (formerly with Disney). 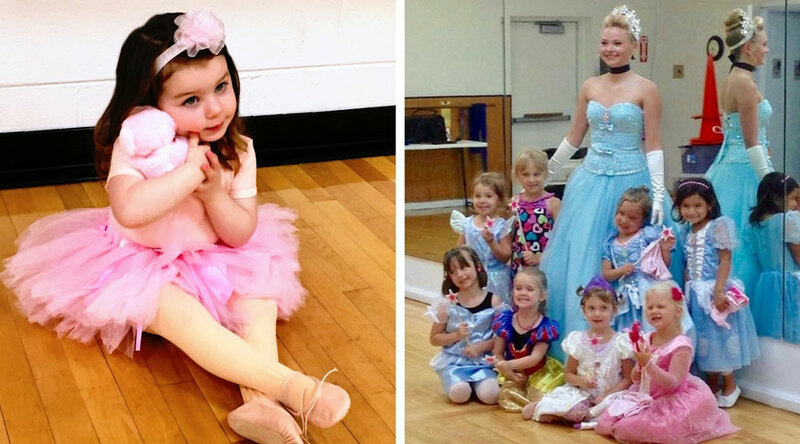 An enchanting 3-day dance camp themed around your dancers favorite Princesses! Including “FROZEN.” There will be games, dancing, and stories about a different Princess each day! (And your princess can wear her fav princess dress!!). Plus arts, crafts, & snacks fit for a princess; and a special performance at the end. Ages 11+ (for those currently in a Tap V or higher) – technique, improvisation, clips, trick steps, combinations and more. True tap intensive with various Master Instructors each day – 4 hours/day. Come compete against your friends! Camps are offered M-F 9am-3:30pm. Sport camps are run by our professional sports staff and include: Soccer and Multi-Sport! Sport camps are a great way to improve your skills. Lunch included in full day camp. Before & After Camp Care offered every day. FUN Camp features field trips every week! 1st-5th grade M-F 6:30am-6:30pm. Includes: daily themes, sports, arts & crafts, science experiments, field games, special guests, Inflatables, and more. Field trips include: Water Parks, Arcades, Lazer Tag, Sox Game, and more! Breakfast, Lunch, and Snacks included. Sibling discount for full time enrollment. Introducing FUN CAMP 2.0 for 6th-8th grade. Join us for trips to Go Ape, Six Flags, Water Parks, MLB Outing, and Much More! Make your summer one to remember! 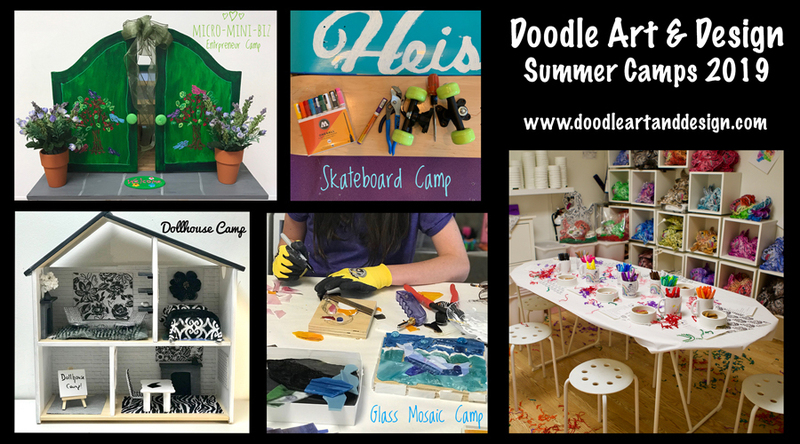 At Doodle Art & Design Summer Camps, I focus on helping kids bring their ideas to life. We begin each day by looking at images of cool art which gives them inspiration. Then we begin designing, building and adding details to our projects. 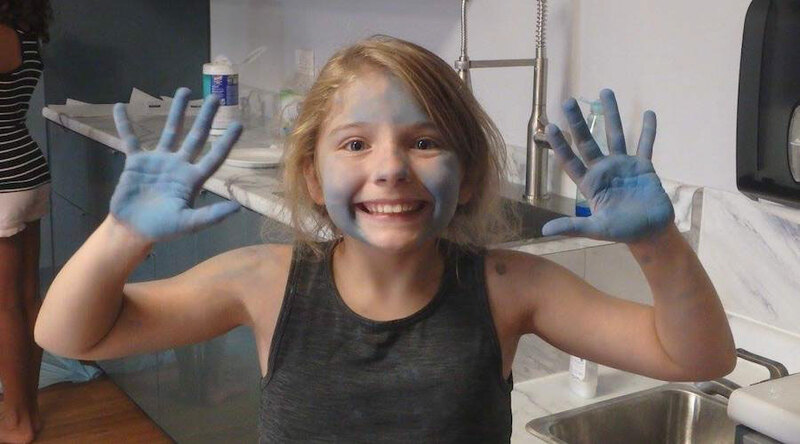 Kids love to create things that they can play with, so in addition to my Glass Mosaic and Creating An Art Gallery camps, the other camps allow your child to make something that he or she can play with, be it a skateboard, dollhouse, or shop. All materials, tools and a Doodle Art & Design T-Shirt are included in the cost of the camps. Double J Riding Club’s Animal Adventure Camp is calling all animal and nature lovers ages 4-12! This is a great chance to get down and dirty on the farm and have experiences they won’t soon forget! Campers will get a creative and creature loving day on the farm! They will explore and interact with all aspects of life on the farm including: large and small animals, insects and plants. 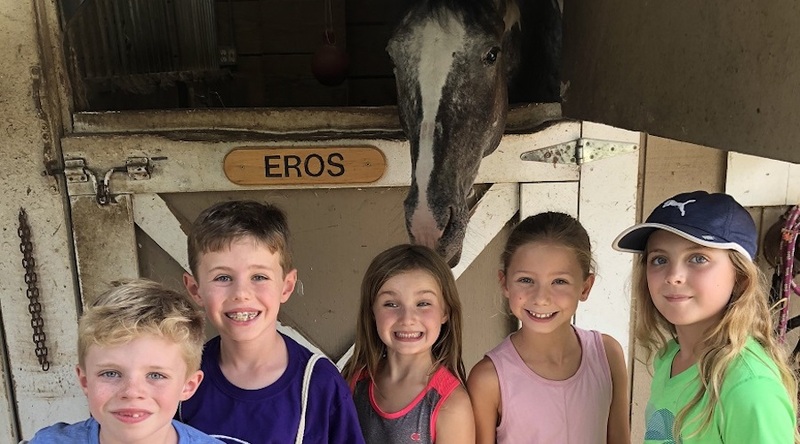 Some of the activities they will enjoy during the week include: learning about, interacting with, and cooking for our animals, science experiments, crafts, games, finger painting a horse, scavenger hunts, and so much more! Prepare to be immersed in agriculture through a variety of hands on activities and play! Click here to signup online! 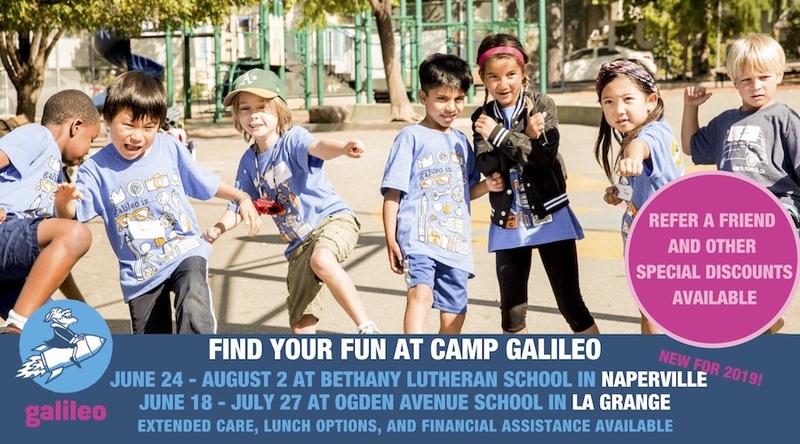 Join us at Camp Galileo in Naperville and La Grange! At Camp Galileo, pre-K – entering 5th graders find the perfect mix of hands-on learning and summer camp fun. Campers craft extraordinary works of art and engineer incredible inventions! Plus, they spend plenty of time playing, exploring and building their teamwork skills outdoors. Each week is organized around a different inspiring theme and full of projects designed for every age group. Learn more: www.galileo-camps.com or 800-854-3684. Flying High is proud to offer day camp to children ages 4-12 years old. Our caring camp staff keeps your camper entertained with activities that keep their brains and bodies learning and engaged all day long. 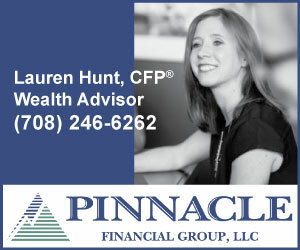 We offer a flexible full-day and half day schedule including extended care options perfect for today’s working parent. Pick and choose between full weeks, whole days, half days, or field trip days! Camp will run from June 3-August 30 with each week having a fun theme!! 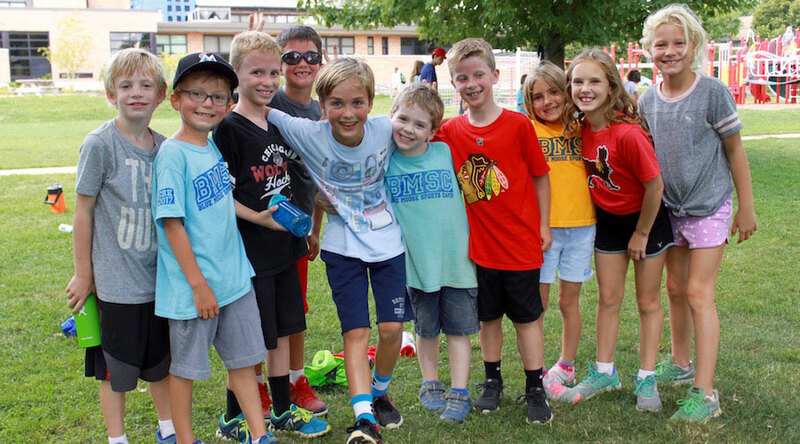 Camp activities include science experiments, daily open gym, arts & crafts, academic-based activities, Zumba, and Field Trips to Lincoln Park Zoo, Morton Arboretum, pools, The Field Museum, and more!! Check out our website for a breakdown of Camp Themes, Activities, and Field Trips. We also offer a Junior Camp Counselor program for ages 13-14. Four different day camps for animal lovers of different ages and interests. PET CAMP ages 6-7 an introduction to a variety of pets. Hands-on learning and animal interaction every day. ADVENTURE CAMP a field trip based camp for ages 8-9 exploring the wonders of animals. 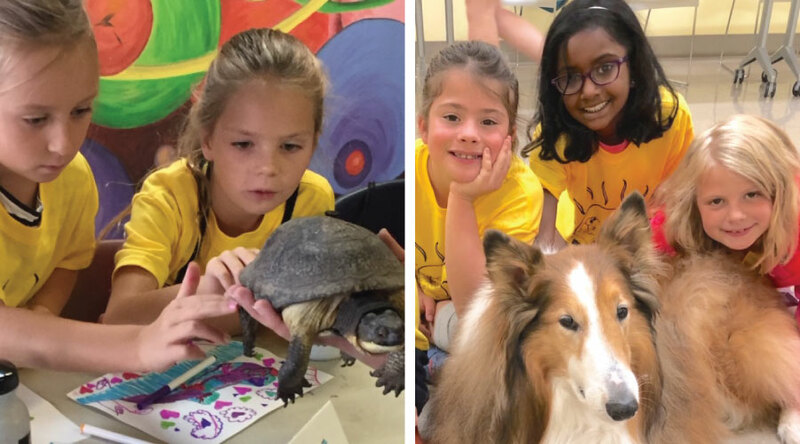 CAREER CAMP for ages 10-11 introducing a variety of career options working with animals. CRUSADER CAMP a field trip based introduction to various animal welfare issues for tweens and teens age 12-14 focusing on animal advocacy. Ask questions, share ideas and learn with other animal lovers like you! Early Registration Savings! Register by April 1st and save $25. 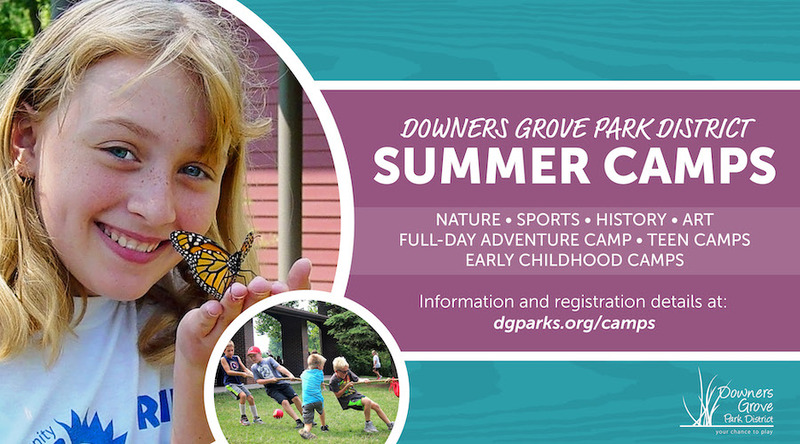 Downers Grove Park District summer camps offer adventures where kids will make memories that will last a lifetime! 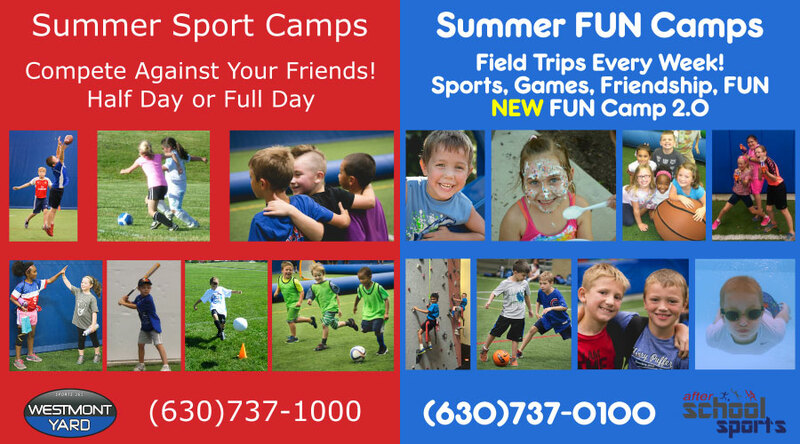 Check out action-packed sport camps, teen trips, traditional day camps and our ever-popular preschool camps. 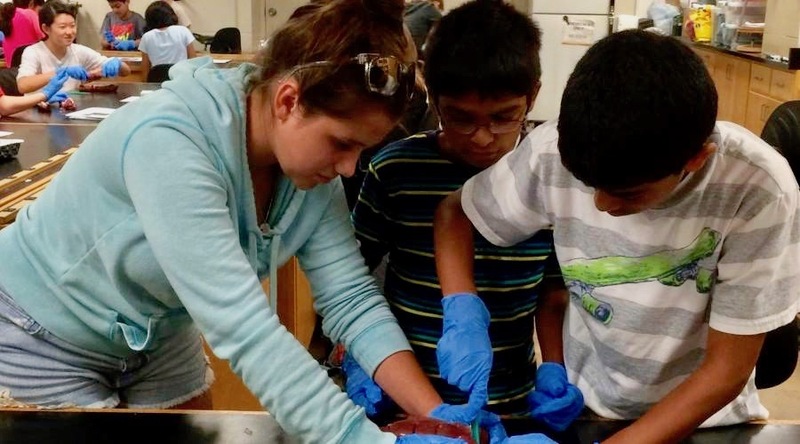 Unique specialty camps let kids delve into interests such as science, robotics, cooking, visual and performing arts. Campers can take a swing at our golf camps, discover the great outdoors with nature camps or explore their historical side at one of our museum camps. Before and after care is available for select full-day camps. Registration begins March 11. It’s your chance to play at the Downers Grove Park District! 59th Street, 1/2 block east of Brainard Ave.
LG Celtics Summer Soccer Camp in association with Manchester United’s Tom Statham is back at Countryside Park June 24 – June 27. 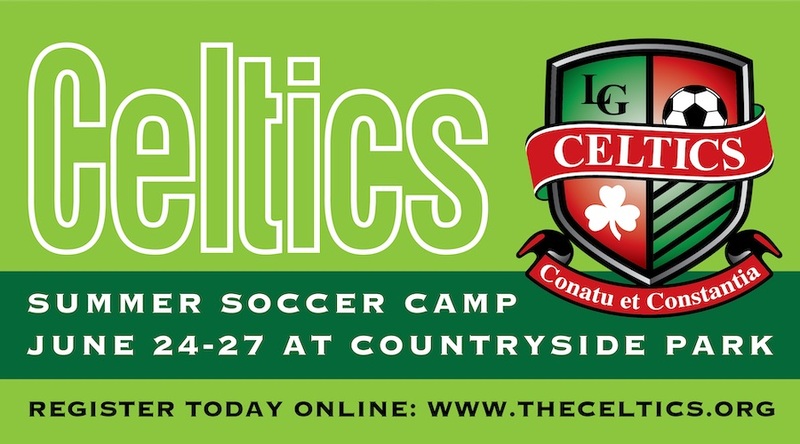 Celtics Summer Soccer camps are open to Celtics and non-Celtics players, girls and boys. If you have any questions please contact David Rout at drout@theceltics.org. Lions Jrs is celebrating it’s 25th anniversary this season. Come help continue the celebration by spending the summer with us at one of our summer camps!! 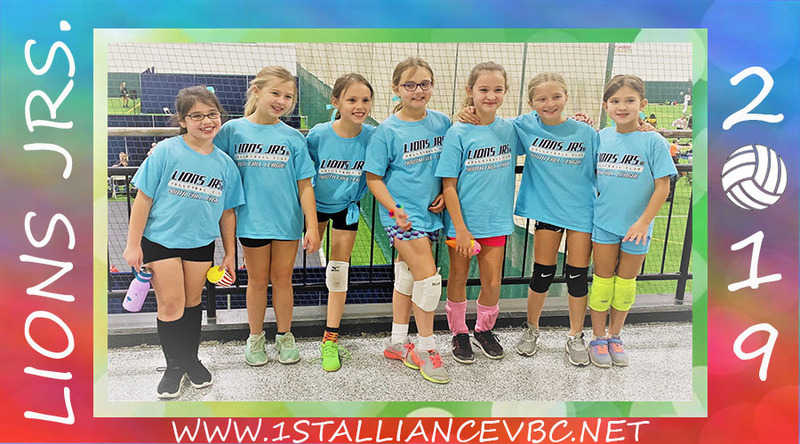 Lions Jrs/1st Alliance is one of the most respected and successful volleyball clubs in Chicago. For more than 20 years, our athletes and coaches have excelled at the highest levels of competition, both locally and nationally. 1st Alliance/Lions Jrs has had over 415 athletes playing in college since 1999. In the past 10 years, Lions Jrs/1st Alliance has averaged over 25 athletes playing volleyball in college, which ranks 2nd in the Nation! Since our inception, we have also compiled an enviable record at USAV/AAU/JVA Junior Nationals with 8 1st place finishes, 14 2nd place finishes and 15 3rd place finishes. Our summer camps will be run by the same high-level coaches that have helped set these records. Camps will be leveled within each session so that each child is challenged appropriately. Calling all tech-savvy kids! Get ready to use your imagination and invent the future at Codeverse, the world’s first fully interactive coding studio for kids. Our weeklong summer coding camps in Naperville are action-packed with fun and stimulating STEM activities for kids aged 6-13! From building a robot and creating 3D printed designs, to developing video games and controlling concert-hall lights using real code, your young innovator will have the experience of a lifetime. Reserve your child’s spot at camp today and get $200 OFF! Crafts, dancing, games, and more! 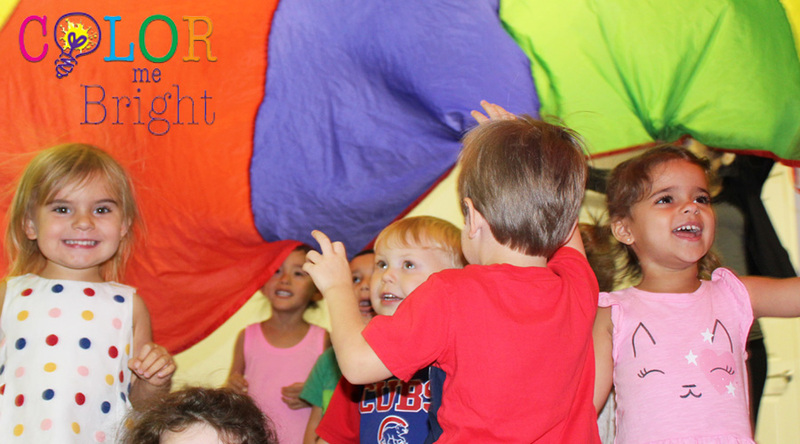 Color Me Bright offers week-long, themed Summer Camps to get your little one moving and grooving with new friends. From Paw Patrol to Frozen, there is a camp for everyone. Weekly dance and art classes are also available to spark your creative bug. All camps and classes are open to children ages 2-5 years old. Click HERE to register online today! Bring your kids to run, jump, and play in our Elite Sports Summer Camp! Kids will have a blast playing during open gym time, group games, trampoline and gymnastics rotations. Kids will also get to join in on daily crafts and playing on our outdoor playground! We offer half day and full day options with 7:30am early morning drop off and 5:30pm late pick availability to meet every parent’s needs. Kids will sure to have fun with this years theme days like Science Tuesday, Water Wednesday and In-house field trip Thursday. All kids ages 3-12 (must be potty trained) are welcome in on the fun and we offer discounts for multiple children in a family. The MAX offers a full day camp for children ages 6-12 years old and half day camp for children ages 3 1/2 -5 pears. Before and aftercare are available for the full day camp. 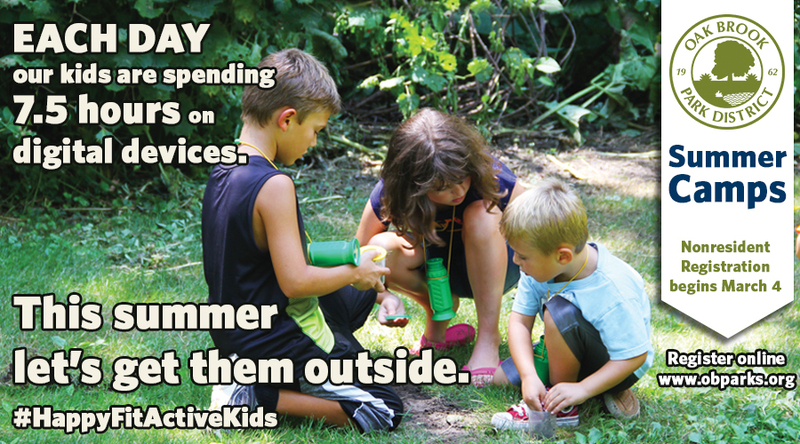 Sports, arts & crafts, field trips and much more will round out your child’s day! Sibling discount available! For more information visit our website at http://www.max-mccook.com/camps.html or call 708-485-9900. Join us for the BEST 2 weeks of your summer! Come sing, dance act and have tons of FUN. All campers are cast in the show; learning songs, scenes and dances to create an AMAZING final production. 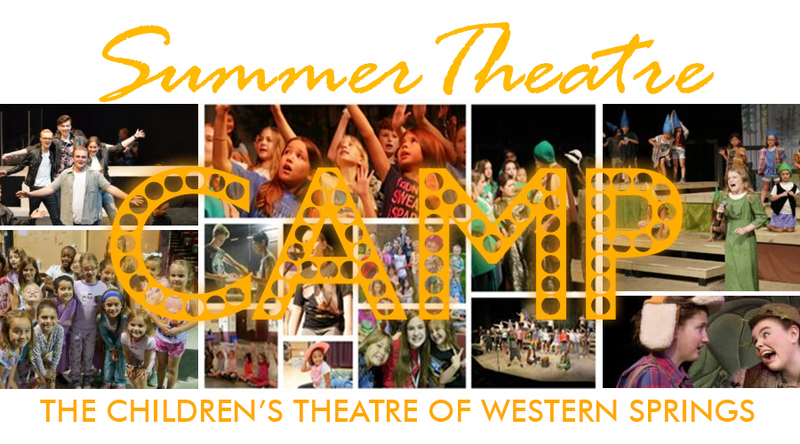 Camp is a perfect introduction to theatre, while still challenging for experienced performers! Our camps fill quickly and will SELL OUT, so register today! MUSICAL THEATRE presents …………………… ANNIE JR. 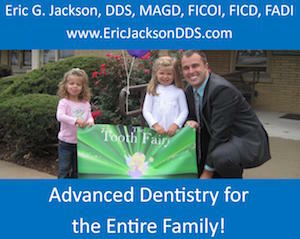 Does your child have a flair for the stage? Performers are invited to spend 6-weeks singing, dancing, and acting under the direction of our outstanding theatre staff in preparation for the grand finale performances in July. All the tools necessary for a terrific summer production that the whole family will enjoy are provided! No experience is necessary, just the desire to perform and to be part of a welcoming, all-inclusive atmosphere where your child can shine. Everyone performs and is involved in the production. Receive an early bird registration discount until April 26. Resident and non-resident rates available. 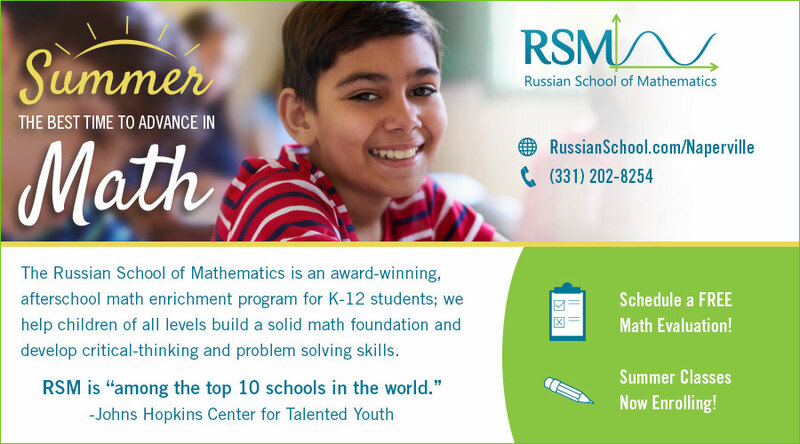 Why attend the RSM-Naperville Summer Math Program? Research shows that on average, students regress one month in their scores and ability over the summer. Our summer math program is designed to allow students of all levels, from elementary school to high school, to keep advancing in math over the summer. Math for Grades 1 – 6: These courses hone students’ analytic skills and enhance their number sense by introducing them to abstract concepts. Preparation for High School Math: Our courses in Algebra and Geometry will build up prerequisite skills and front load the key concepts of High School Math. Contest Level Math: Students are introduced to non-straightforward problems. Students are also prepped for various math competitions. Does your child love to bake? Here’s the perfect camp for your little chef. Your child will get hands on experience creating their own baked treats in a real bakery environment! We will be offering two types of three-day camps during the summer for kids ages 7 & up. 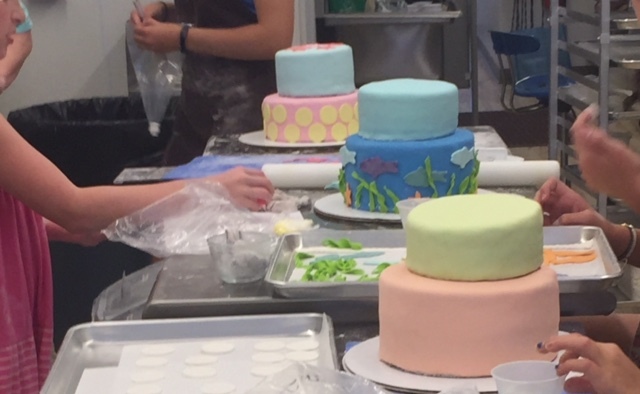 During both camps, campers will be baking and learning various decorating techniques. If you have your own group of friends, we can customize a camp for you at a date and time that works best for your schedule. Contact JoAnn Williams @ joann@suescakery.com or 630-789-2253 for more information. Go to suescakery.com for more information on camp details and dates. Blue Moose Sports Camp was created to give kids the opportunity to come out and play. Come join us this summer and PLAY! We will learn new games, make new friends and work on our skills in a safe, fun and engaging environment. Mention Kidlist for 10% off until March 31! 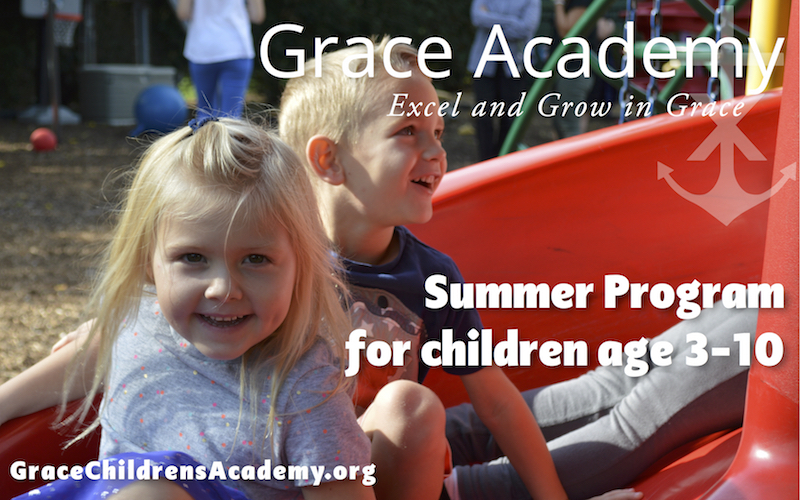 Grace Academy offers a summer full of exploration, discovery, and fun! Our Summer Program includes thematic camps for children age three through 5th graders. We offer camps in reading, science, art, creativity, and more! Camps begin the last week of May. Visit our article about Tutoring Services for more academic opportunities. Click here for the full list of camps with descriptions or jump to another section below. 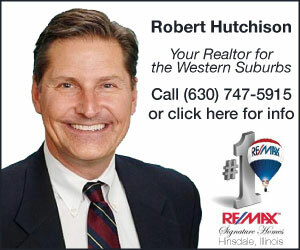 Looking for summer camps in the southwest suburbs? 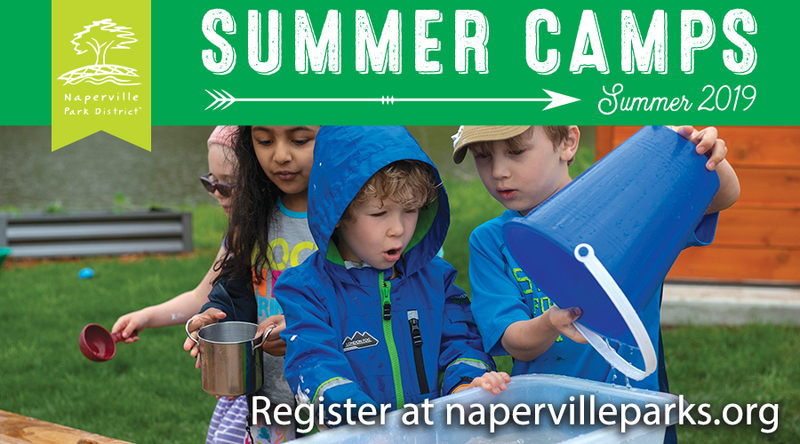 Click here for the Southwest Suburban Summer Camp Guide. Annie loves making great memories with her kids and started Kidlist so she can help others do the same! Besides finding fun and exciting things to do, Annie, her husband, and their kids enjoy caring for their chickens and hanging out with them in the backyard. Click here to read about Annie's chickens and see pictures! She also finds joy in gardening, home improvement projects, knitting, soap making, and painting along with being active in her community, church, and as a board member of the Western Springs Business Association. Click here to follow Annie on Instagram. Experience Gift Ideas for the Holidays – and How to Get a Deal! Be the first to comment on "Fun and Exciting Summer Camps for Kids in the Western Suburbs"